Part arts space, part library, part internet café, part hair salon, part music studio, part workshop: All creativity, all community. Wilurarra Creative is bursting at the seams; full of people, ideas and action. Willurarra Creative is currently at capacity and always looking for opportunities to expand. Wilurarra Creative is seeking partners to secure ongoing resources, to extend the infrastructure of the centre and employ Ngaanyatjarra staff (male and female). Wilurarra Creative is based Warburton Community in Western Australia, on the Great Central Highway. 1000km from Uluru, 1100km from Kalgoorlie on unsealed dirt roads. Wilurarra Creative also stages successful projects in the region, including; Warakurna, Blackstone, Wanarn, and other local communities. Warburton is in the Ngaanyatjarra Lands region, Western Australia the Ngaanyatjarra Lands are one of the most remote areas of Australia. Approximately 2,000 residents are based in the ten communities across the desert lands, with Warburton’s 720 residents forming the largest community. The region is notable for its rich cultural life, energetic art and stunning landscapes, as well as the tasty tirnka (Sand Goanna) and extreme weather. It has strong language and cultural practice, with the majority of residents speaking Ngaanyatjarra. This unique part of the world faces complex challenges, including extreme poverty and low life expectancy. The Shire of Ngaanyatjarraku is an indigenous-majority Local Government that serves a predominately Ngaanyatjarra group of electors based in the remote desert area of Western Australia. 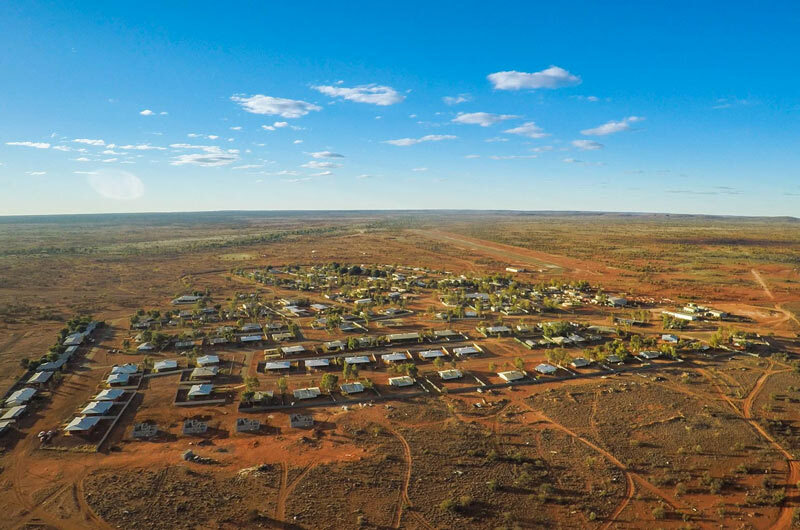 It provides local government services and infrastructure development for ten communities on the Ngaanyatjarra Lands. The Shire encompasses 159,948 square kilometres – an Area Larger than England – and is located approximately 1,550km from Perth. Professor Marcia Langton AOChair of Indigenous Studies, Melbourne University. I am a fan of the Wilurarra Creative programs and have recommended their work to many of my colleagues, not only to dissuade them from antiquated beliefs about Aboriginal cultures, but also to show them the astonishing achievements of the most deprived youth in the country. Youth are bringing their own cultural expressions to the fore and these expressions are examples of the resilience of Aboriginal culture. With just a digital video camera or a mobile phone, they are able to insert themselves into national Australian and international cultural life and give us all hope that Aboriginal culture is alive and well. Fred Chaney AOReconcilitation Australia Board of Directors. The Ngaanyatjarra communities face great challenges to make their future, that cannot simply be a copy of the past. The use of new technologies is just one of the ways things will be different. To do this requires confidence, imagination and resources. Wilurarra Creative is successfully engaging the great creative abilities and skills of the Ngaanyatjarra people who are actively shaping their future. The young people are like the eyes for the old people seeing into the future” “Through this project… you can see the young people standing up for themselves, speaking out. Now is the right time for people to take notice. His Excellency Dr Ken MichaelAC Governor of WA. I was pleased to see much interest and enthusiasm shown by these young people towards their chosen activities. Neil GordonOfficer in Charge Warburton Police Station. These young people are now positive and active members of the community.